A few years ago I wrote a column dedicated to my old comedy compadre Bill Maher, the creator and host of HBOs ‘Real Time with Bill Maher.’ ‘Real Time….’ is produced by Marc Gurvitz who was the agent that took Lance Burton to fame and fortune in the early part of his career. Bill and I used to work the comedy scene in Los Angeles and I have remained a big fan of his wonderfully acerbic left-wing wit. 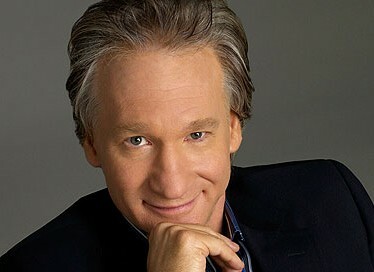 One of the features of Maher’s show is his closing segment where he lists a series of ‘New Rules,’ to improve daily living for the enlightened masses. They never fail to make me chuckle and I thought I would do an update of my previous column in which I gave a highly tongue in cheek version of his concept tailored to the magic world. New Rule #One. Not every magician needs to jump on the mindreading bandwagon. There is still a role for the occasional magic act that doesn’t claim to have ‘special’ powers and psychological abilities that make them contenders for their own Marvel comic book series. Committed mentalists have known for years that many of their tricks are highly commercial combinations of strong effect and clever methodology packaged into one thoughtful bundle. Bookers and buyers alike are beginning to sense that the trend is being over done. Some mental effects can be just as effective if added to a traditional magic show. At it’s worst this trend is imposing a new form of ‘I’m smarter than you…’ magical/mental one-upmanship on the audience. New Rule #Two. Quit whining about the residual effects of the Magic Castle becoming so popular! After 50 years the world’s most successful magic club/venue has become a genuine mainstream LA institution and the strengths and weaknesses of this are becoming fairly apparent. A highly polished and popular magic ‘specialty restaurant’ runs side by side with a cool private magic club. If you think this isn’t enough, count how many others have succeeded in actually achieving this goal. Every now and then members can’t get into the club due to a surfeit of guests who pay a premium to be there. This may not be the case for too long as nothing changes faster than a trendy club, so be happy that it is happening at this point in time. How many times have you personally been turned away from the club, or are you bitching in general in case it might? Joe Furlow, the general manager, has done a great job of re-vitalizing what was becoming a seriously endangered magical center. New Rule #Three. Get over the whole Houdini thing and put it in perspective. Lay people (and several generations of magicians) just aren’t as crazy about Houdini as they once were. Putting a ‘Harry-centric’ twist on anything magical doesn’t suddenly make it fascinating and irresistible. Time moves on, learn to live with it. New Rule #Four. Let’s lose some of the Victorian trimmings and trappings associated with magic props. A casual glance at any magic catalogue will be enough to remind you that a large part of the magic world is living in a different century from their audiences. Wooden billet collection boxes, change bags on sticks and hokey looking wooden boxes are items that belong in museums or collections and not in the average magic show. Contemporary is much more appealing and infinitely more convincing when it comes to props unless there is a very good reason for it. However, by contemporary, I do not mean something that is supposed to look futuristic but actually looks like a badly realized item from a 1960s ‘Dr. Who’ set. New Rule #Five. Deceptive bases are not always that deceptive, sometimes it is only the magician who is fooling himself. There is a built in limit to the amount of deceptive bases that you can wheel out without ‘the law of diminishing deceptive returns’ kicking in. Also there is a huge difference between the deceptive base that Johnny Gaughn builds and the ones that are knocked out in the garage by an ungifted amateur carpenter. Well, have I pissed off enough people this week! If I haven’t then I might continue with the next five items in my ‘top ten list’ of New Rules in another blog post. I haven’t even started to talk about magician’s photographs or manipulative acts that dress as if they have been shopping in Jeff McBride’s reject closet. ~ by Nick Lewin on February 13, 2014. Love them, PLEASE give up the Next 5 (& mebbe go beyond 10 ?) Bout Bill — raved bout him when he was on Broadcast TV — even arguing that Disney keep him w/ someone ‘in the loop’ deciding the issue (they went with Kimmel & bits, scared of the Controversies Maher seemed ever destined for 😉 As for Harry — i luv your observations ! 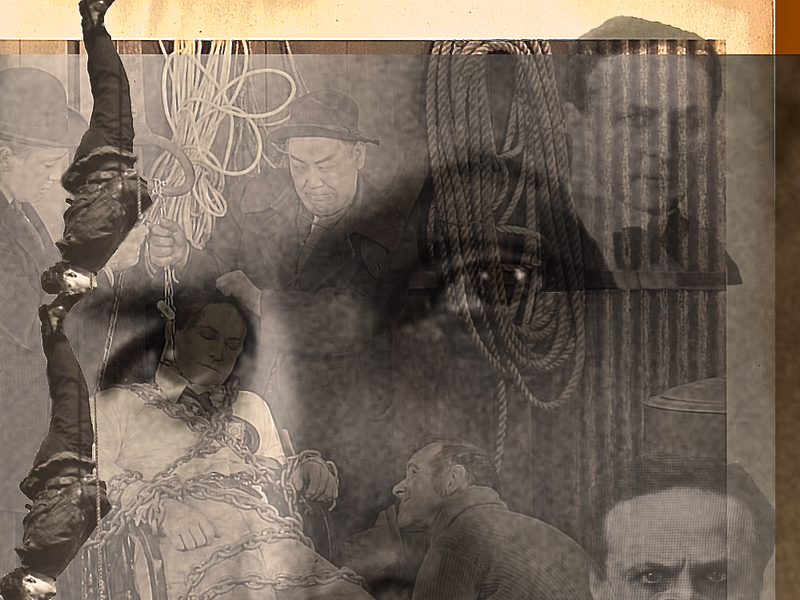 Houdini ONCE grabbed Headlines — but they, like Him, no longer occupy most people’s thoughts/time. Mages love Magic; get blinded by it, Expecting Everyone ELSE to ALSO want to be immersed in it ! That said, when a Lay Person Thinks Magic — Harry IS ‘the name’ they Always Mention ! Well, I have had so many nice reactions Part 2 is en route! Bill always makes me laugh!